In the second half of the twentieth century France played the greatest role - even greater than Germany’s - in shaping what eventually became the European Union. By the early twenty-first century, however, in a hugely transformed Europe, this era had patently come to an end. 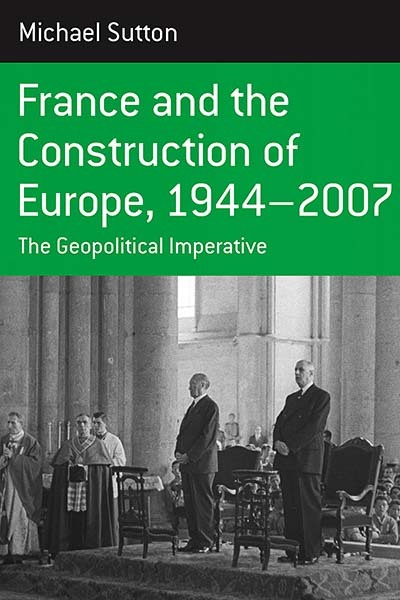 This comprehensive history shows how France coupled the pursuit of power and the furtherance of European integration over a sixty-year period, from the close of the Second World War to the hesitation caused by the French electorate’s referendum rejection of the European Union’s constitutional treaty in 2005. Michael Sutton is Professor Emeritus, Modern History and International Relations, at Aston University. He has written regularly on France for The Economist Intelligence Unit - part of The Economist newspaper group - since 1985, and worked in Brussels from 1973 to 1993 monitoring European Community developments. He is also a specialist in twentieth-century French political thought and philosophy.